Here at Soforreal Web we’ve always tried to give you the best web templates and offer advice about building a website. 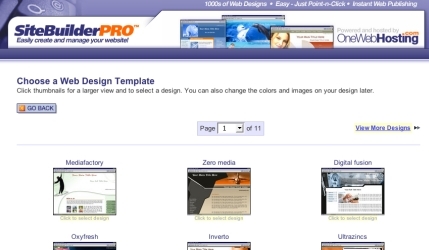 Through our free webtemplates we provided you a quick way to get started into web design. However, if you’re not interested in learning html and want to build your own website or a clients website relatively fast and pain free I suggest you use a website builder. There is one company online that offers you to how to build a website in less than 10 minutes without any prior knowledge of web building. This is especially good for clients that do not have a large budget and want to establish an online presence without going over their budget. Build Your Site offers a chance to test drive building a website free! The steps are the same with building any other website however you just choose a design template in the website builder, specify your colors and other specifications and you’re done! The prices are quite good too at only $9.95 and they are over 4,000 designs to choose from. One advantage that I like about the service is that all is done online. You don’t have to download any software, hosting is free, and a free domain is included. Go take a free test drive and create a website a matter of minutes.